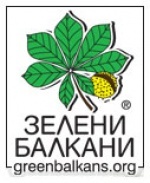 ‘Bulgarian biodiversity foundation’ is an NGO having the mission to contribute to conservation of the biodiversity and natural heritage of Bulgaria and the neighbouring countries of South-East Europe. 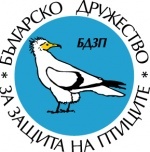 The Bulgarian Society for the Protection of Birds (BSPB) is the first in the recent time and the biggest non-governmental organisation (NGO) dedicated to the biodiversity conservation. BPPS was established in 1990 by a group of environmentalists, united around the idea of studying and protecting the birds of prey and Bulgarian nature. BSPB Nature Conservation Center "Eastern Rhodopes"
Nature Conservation center is established in 1994 from Bulgarian society for the protection of birds (BSPB) and is built under the project, financed from Bulgarian Swiss biodiversity conservation Programme. Since 1998 the center is open for visitors. There are hall for exhibitions, restaurant, hotel, camping places. In the last years NCC Poda became to attractive place for a lot of admirers of nature from the country and abroad. In the center you can use specialize library, available optics, and guest room, to watch video film, to buy some souvenir or with cup of coffee in hand from the terrace to watch the beauty view and varied bird world in protected area Poda. The main aims of the Society are study, conservation and restoration of flora and fauna in natural ecosystems, their preservation for future generations and raising public awareness on the problems of nature conservation. 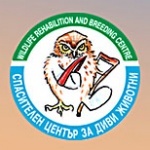 Established in 1990, the Wildlife Rehabilitation and Breeding Center is the only one of its kind in Bulgaria. We work with all species of wildlife, but specialize in the rehabilitation and breeding of threatened and endangered birds of prey. The Fund for Wild Flora and Fauna (FWFF) is a registered charitable organization dedicated to conserving the nature on the Balkans by meeting and respecting the needs of local communities. The organization has a sustainable approach to nature conservation. It seeks to find the best solution for all stakeholders thus securing the protection of the region's special fauna and flora for generations to come.